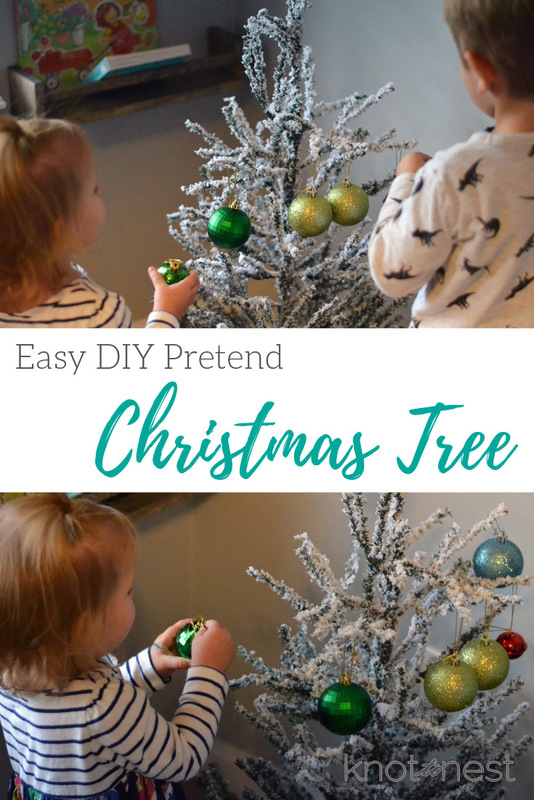 Christmas is, hands down, my FAVORITE holiday of the year and I am always looking for new ways to make the holiday season fun for the kiddos. 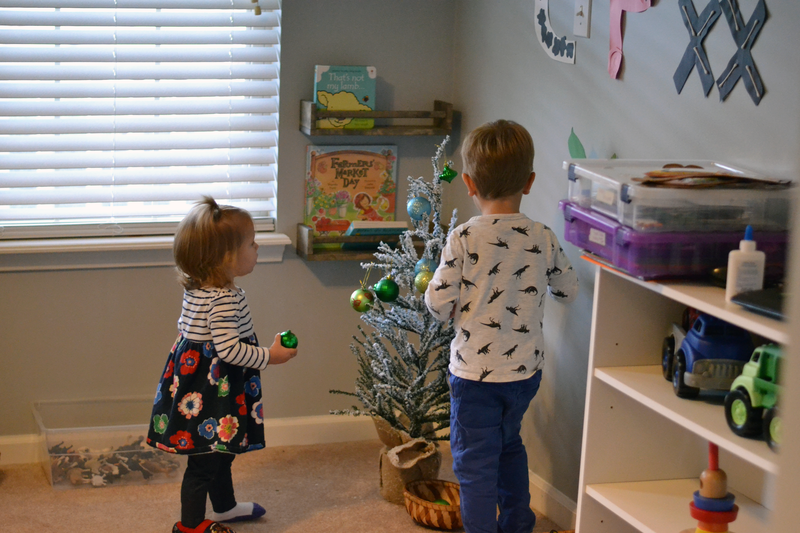 After watching my littles enjoy decorating the Christmas tree so much this year, I decided to put a small tree up in their playroom for them to decorate over and over again. 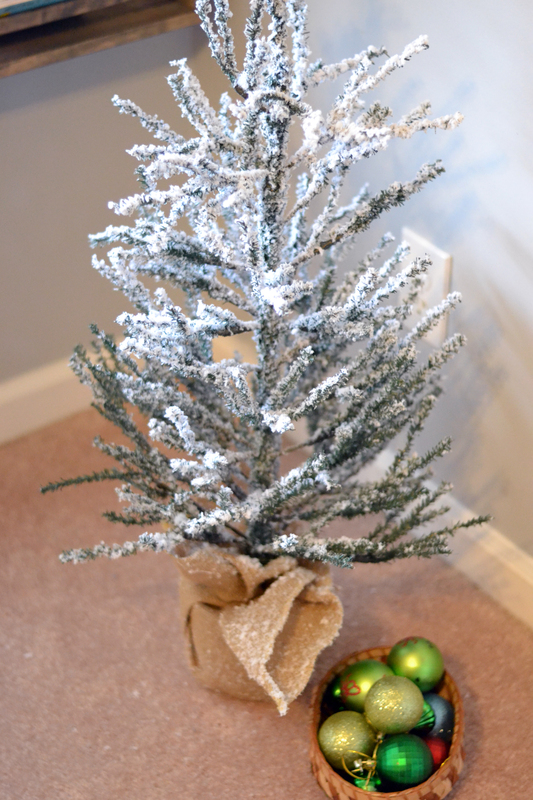 I purchased a small tree from Walmart and ornaments from the dollar tree. 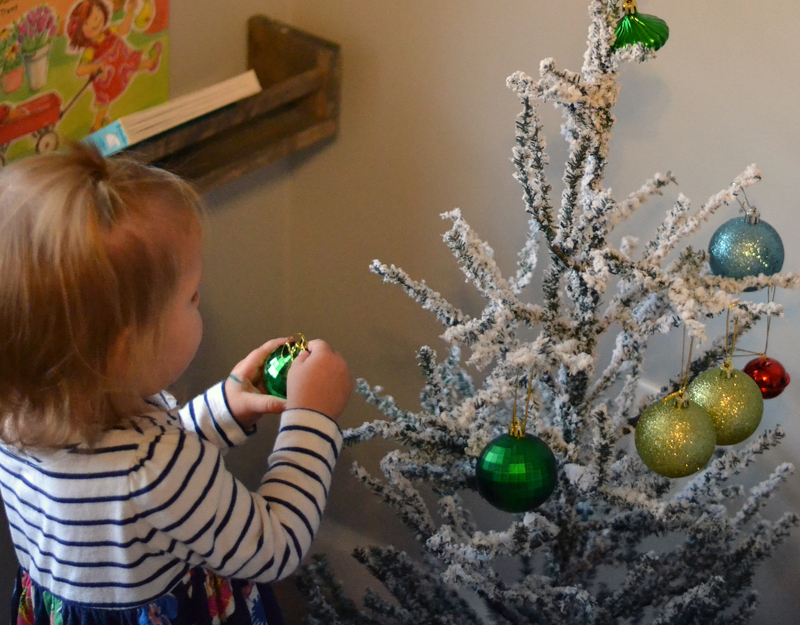 The dollar tree usually carries a wide variety of plastic ornaments that are safe for little hands. 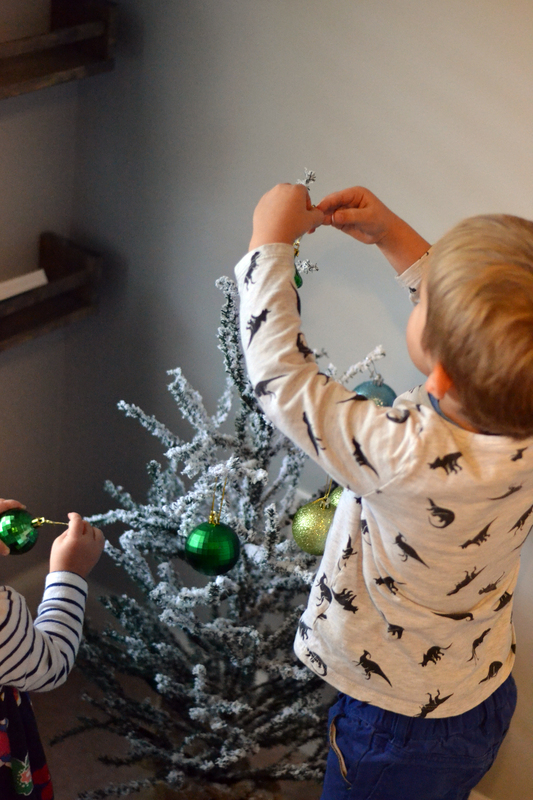 Both kids really enjoyed a tree that was theirs! 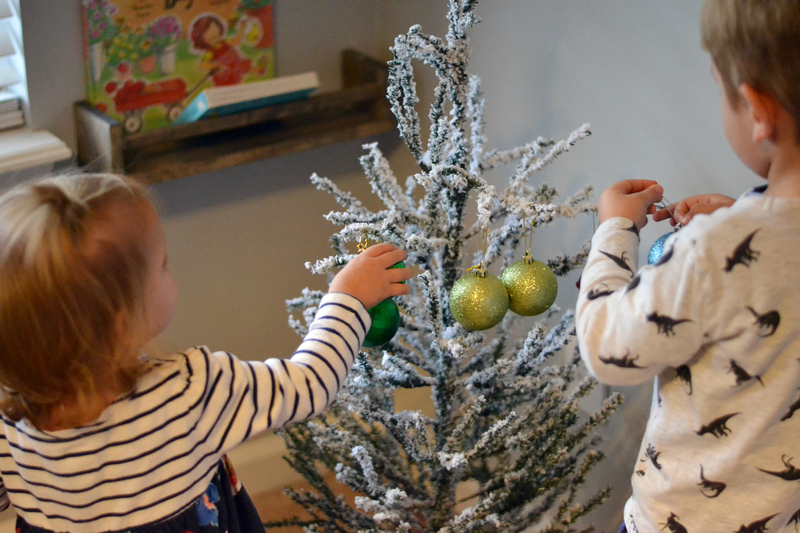 They loved getting to be in charge of the placement of each ornament. 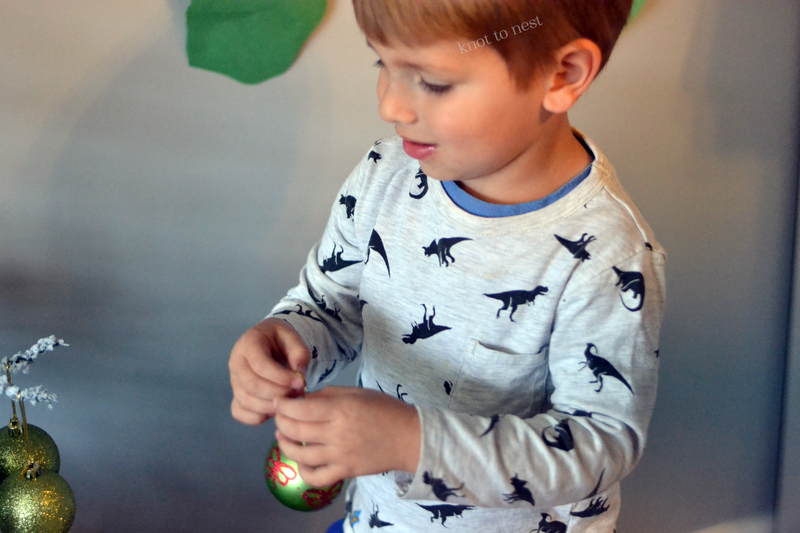 Fine motor movements by placing each ornament on the tree with a small string. 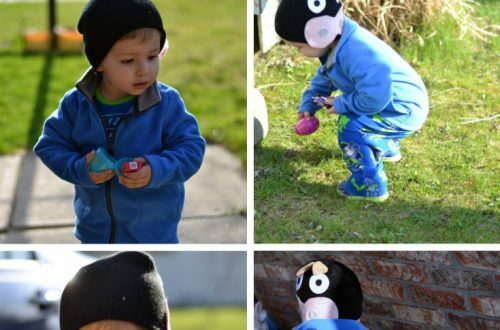 This activity was loved by both kids (3 years old and 1 year old) and it can be used again and again throughout the season. Every few days I simply take down the ornaments and place them back in the basket. 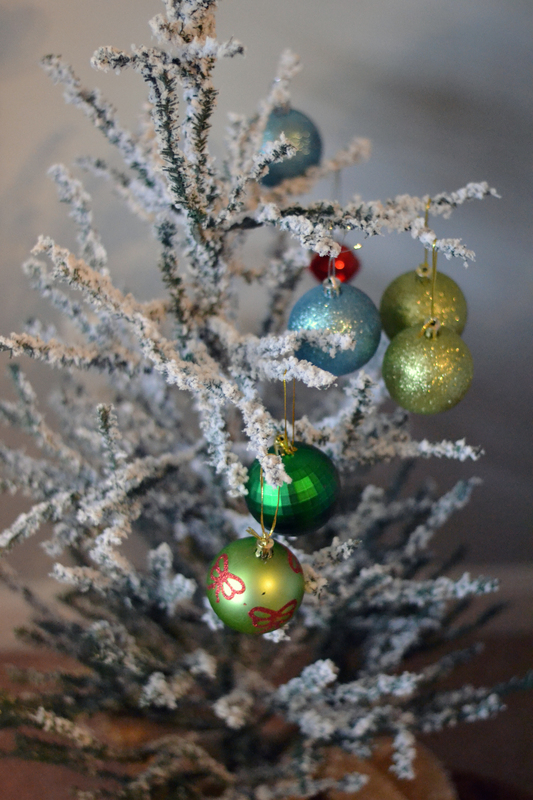 The empty tree serves as an invitation to decorate again. 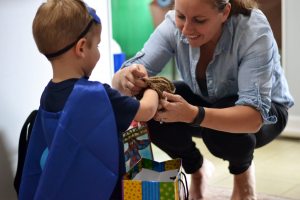 What sort of holiday fun to do have planned for your family? 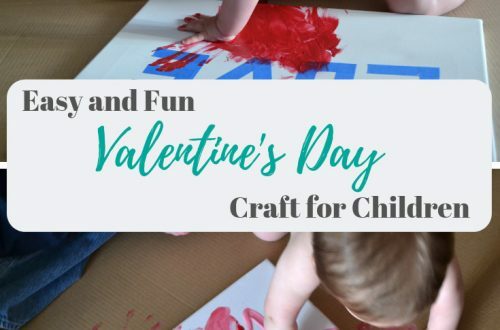 Any special crafts? 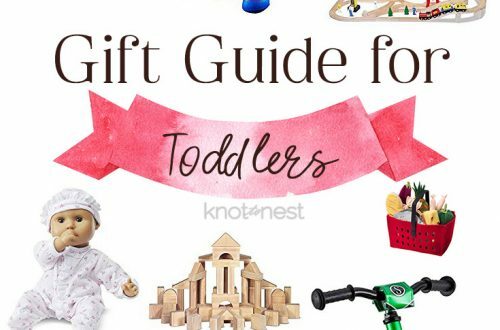 Comment below with your or your child’s favorite holiday activity!